In sermon 2248, prior to communion, he elaborated. The Lord of life and glory was nailed to the accursed tree. He died by the act of guilty men. We, by our sins, crucified the Son of God. We might have expected that, in remembrance of his death, we should have been called to a long, sad, rigorous fast. Do not many men think so even today? See how they observe Good Friday, a sad, sad day to many; yet our Lord has never enjoined our keeping such a day, or bidden us to look back upon his death under such a melancholy aspect. Instead of that, having passed out from under the old covenant into the new, and resting in our risen Lord, who once was slain, we commemorate his death by a festival most joyous. It came over the Passover, which was a feast of the Jews; but unlike that feast, which was kept by unleavened bread, this feast is brimful of joy and gladness. It is composed of bread and of wine, without a trace of bitter herbs, or anything that suggests sorrow and grief. . . . The memorial of Christ’s death is a festival, not a funeral; and we are to come to the table with gladsome hearts and go away from it with praises, for “after supper they sang a hymn” [Matt 26:30, Mark 14:26]. A number of scholars believe the disciples would have closed their Passover-turned-Lord’s-Supper gathering with a hymn taken from the joyful Hallel Psalms (113–118), perhaps even a majestic one like Psalm 136. Similarly, for Spurgeon Good Friday, like any celebration of the Savior’s death in the Lord’s Supper, was a proper and suitable context for worship, joy, and gladness. In Spurgeon’s mind, Good Friday was no funeral. I’ve been enjoying Akiko Busch’s new book: How to Disappear: Notes on Invisibility in a Time of Transparency. She makes the distinction between disappearing and hiding — the two are quite different, although easily confused in the digital age. Indeed, “it is time to question the false equivalency between not being seen and hiding. And time to reevaluate the merits of the inconspicuous life, to search out some antidote to continuous exposure, and to reconsider the value of going unseen, undetected, or overlooked in this new world” (10). 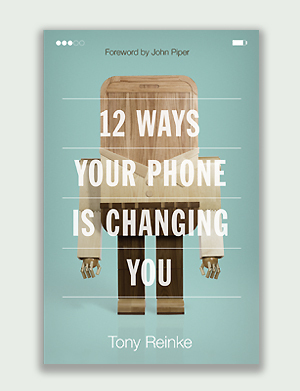 She’s not addressing the challenges as a Christian, but the book itself is beautiful, and it works as a fine conversation partner into my own thinking in contrasting personal virtue as performance art in the digital age and the virtues of charity, personal prayer, and fasting in their invisible forms (Matthew 6:1–18). The desire to spiritually perform is even more challenging in the age of Instagram. In part this is because we live in an age in which exposure is increasingly equated with action, and where invisibility is more and more acquainted with passivity. But something beyond mere performance is happening, as she explains. Visibility has gone from being passive to active. I agree. Teaching recently, I assumed an afternoon visit to my classroom by a camera crew documenting campus life would be inhibiting to students. I was sure the two young men with video cameras would make the students feel self-conscious and that classroom discussion would become stilted and awkward. Jonathan Edwards championed the idea of authentic Christianity as dis-interested, and he made the argument in one of his profoundest books, The Religious Affections. It took me years to grasp his reasoning, more years to appreciate why he belabored the point, and only recently have I picked up on his implications for the digital age. The Enlightenment world Edwards inhabited was an age of practical sciences and groundbreaking discoveries. He lived through the early era of a coming technological jackpot. A science-driven pragmatic age was gestating, and Edwards could feel the fetal movements. This pragmatic age would bring massive changes in how people read the Bible, applied the Bible, and Instagrammed the Bible. Edwards was concerned that people would read promises like Luke 12:32, “Fear not, little flock, for it is your Father’s good pleasure to give you the kingdom,” as if those words were “immediately spoken from heaven to them.” The words in the gospels would become “sweet” but only because “they think it is made to them immediately,” and “all the sense they have of any glory in them, is only from self-love, and from their own imagined interest in the words: not that they had any view or sense of the holy and glorious nature of the kingdom of heaven, and the spiritual glory of that God who gives it” (W2:221). He arrives here by making the argument that no promise of Scripture was made to anyone alive today. We cannot embrace Scripture’s promises too quickly, and certainly not because someone else has said we are an inheritor of the divine promises. Edwards’s experiences in the froth of revival led him to conclude that even Satan can manipulate people to think the Bible is a book of blank banknotes of personal blessings to be grabbed, rendering down the glorious God of the universe into a Pez dispenser of gifts and blessings. So is there ever a personal application of Scripture to a saint? Yes, Edwards affirms, but not because someone else makes the claim. This conformation is a distinct work of the Spirit, “a spiritual application of the promises of Scripture, for the comfort of the saints, consists in enlightening their minds to see the holy excellency and sweetness of the blessings promised, and also the holy excellency of the promiser, and his faithfulness and sufficiency; thus drawing forth their hearts to embrace the promiser, and thing promised; and by this means, giving the sensible actings of grace, enabling them to see their grace, and so their title to the promise” (W2:224–25). Where the Spirit is active, the Promiser is always greater than the promise. This was a priority Edwards feared would be lost as preaching and revival moved toward man-centric themes and approaches. 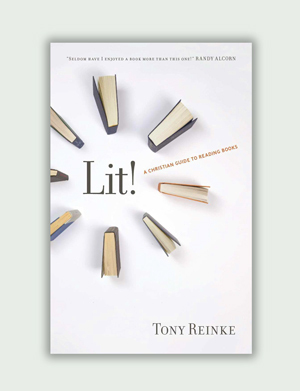 This coming shift in pulpits was riding the wake of the Enlightenment, a social shift that changed how millions defined happiness and pursued it. Once considered in the hands of God and in fate, or a divine reward for obedience, Enlightenment thinkers came in and said no, grab for happiness, change the fate, “change these things — change ourselves — and we could become in practice what all were intended to by nature be” (McMahon, Happiness, 13). But the foundational work of God in the soul is not discerned in the grab for a gift or even for a rescue, it’s found in a soul that apprehends the beauty of the promise and the glory of the Promiser. Aesthetic appreciation of the King precedes the joy of holding the title to the kingdom. “And this is indeed the very main difference between the joy of the hypocrite, and the joy of the true saint. The former rejoices in himself; self is the first foundation of his joy: the latter rejoices in God” (W2:249). In other words, saints “first rejoice in God as glorious and excellent in himself, and then secondarily rejoice in it, that so glorious a God is theirs: they first have their hearts filled with sweetness, from the view of Christ’s excellency, and the excellency of his grace, and the beauty of the way of salvation by him; and then they have a secondary joy, in that so excellent a Savior, and such excellent grace is theirs” (W2:250). On the other hand, hypocritical professors “take more comfort in their discoveries than in [the] Christ discovered” (W2:252). The dichotomy is clear for Edwards: “The grace of God may appear lovely two ways; either as bonum utile, a profitable good to me, that which greatly serves my interest, and so suits my self-love; or as bonum formosum, a beautiful good in itself, and part of the moral and spiritual excellency of the divine nature” (W2:262–63). Self-interested religion, that uses the gospel “to serve a turn,” to serve some felt-need or pragmatic purpose as an end in itself, falters and eventually fails to lead toward a life of self-sacrificing holiness. Self-interested religion contradicts selfless sacrifice, as Paul was aware (Phil. 2:21). Thus, “what makes men partial in religion is, that they seek themselves, and not God, in their religion, and close with religion, not for its own excellent nature, but only to serve a turn [a purpose and end in itself]. He that closes with religion only to serve a turn, will close with no more of it than he imagines serves that turn: but he that closes with religion for its own excellent and lovely nature closes with all that has that nature: he that embraces religion for its own sake, embraces the whole of religion” (W2:394). Faith as pragmatic expedience is empty and stunted. Faith that is aesthetic is whole and embracing. So what has Edwards to do with technology? Only recently did I notice the connection here, made by Yale editor John E. Smith (in 1959!). “As we contemplate the renewal of interest in religion, we must not fail to apply these criteria,” Smith says of this dis-interest, in the introduction to the Edwards volume. “What permanent change is taking place in the depths of the self and with what consistency will it show itself in practice? More likely than not the vast majority of cases will be unable to pass the test. And one of the principal reasons for the failure is to be found in our by now well-established tendency to view everything as a technique used by the human will to conquer nature and master history. Edwards had seen this source of corruptions, and he had attacked it through the doctrine of divine love as disinterested. Religion is genuine and has power only when rooted in a love which does not contemplate its own advantage. Religion becomes false at just the point when we attempt to make it into a device for solving problems” (W2:51). The gospel is not good because it’s useful for fixing life. The gospel is glorious because it reveals the beauty of God. So if I mainly embrace God’s kingdom because it means I get a bigger house in the end, I don’t understand the kingdom, because I’ve missed the beauty of the King. Tell me Edwards didn’t see Freud coming with a therapeutic model of understanding all things, indeed of validating all things to the standard of immediate personal applicability. Tell me Edwards didn’t foresee a pragmatic gospel (“Believe because it works!”). Tell me Edwards didn’t see me-centered worship music coming. Tell me Edwards didn’t see the prosperity gospel coming. Tell me Edwards didn’t see lifehacking apps coming. Edwards (the postmillennial) celebrated social progress, economic development, trade, and he “welcomed technological advances” while also understanding that “selfishness — self-interest, self-promotion, self-centeredness” governs in a fallen world (Edwards Encyclopedia, 85). Speaking of anything “serving a turn” was the 18th century lingo of lifehackery. In the age of micro-apps and our well-established tendency to view everything as a technique used by the human will to conquer nature and master history, and where we are addicted to shortcuts and technologies of simplicity and expediency that promise to order our lives, we are led to think of everything in life in functional and pragmatic terms. In every generation you will find doubting Christians, who have a taste for God’s glory but who need pastoral help to embrace the promises of Scripture for themselves. Edwards’s counsel may prove counterproductive for such souls. But he’s on to something really important for us all to note. We must resist the temptation to transpose spiritual truth down to mere use — techniques, technologies of expediency, shortcuts of self-interest. We must fundamentally pray for an appetite for God in his radiant and holy beauty, for it’s in the aesthetics where the genuine work of God’s Spirit is to be first discerned inside us. Last week I spoke at Texas A&M on smartphone use and abuse. After the event, a young man approached me with a personal concern. Digital media was getting in the way of his schoolwork and responsibilities on campus. This student’s situation is common, but he wasn’t distracted by Instagram and Snapchat or Fortnite — he was distracted by the many sermons and Christian podcasts he was trying to ingest all week. He’s a well-intentioned young man, and he’s not alone. I applauded his taste for edifying content. Surely he could harbor a craving for worse things! And then I reminded him that his struggle predates podcasts. More than a century ago, this same impulse led people to church-hop and celebrity-chase the most popular preachers in London. The Puritans tried to tamp down this trend, as did Spurgeon, but the spirit of the hunt lives on in the digital age. Without prayer and meditation, feeding on daily sermons would do little good, said Spurgeon. The spiritual life has an implicit pace of progress, measured not by the speed of exposure but by the speed of internal processing. In our brief interaction, I reminded this young man that when God wants to warp-speed our sanctification, he has a plethora of tools at his disposal to do so — mostly in the form of personal suffering. The opinion of this young man, and of our age, is that super-spirituality is most attainable by those who ingest the highest quantity of edifying media. But this impulse, which can drive us toward a mountain of good and helpful content, is also fueled by one of the great dynamics of our age, detailed in German sociologist Hartmut Rosa’s book, Social Acceleration: A New Theory of Modernity (2015). Rosa’s basic argument is that our western experience is a forever-accelerating economic system, reinforced politically and socially. Said another way, acceleration is the desire we feel to collapse life into a series of discrete moments and experiences — email to email, tweet to tweet, text to text, snap to snap, meeting to meeting, image to image, and video clip to video clip. All of life, even real experiences with hard edges, are rendered into moments or incidents. Like LEGO pieces, the moments of our lives are made into discrete bricks, stacked end to end, in order to be compressed into a smaller time-cost. As we pack more of these moments into our lives, and as we increase the number of experiences per minute, we feel like time is speeding up. We feel as if our lives move at warp-speed, while the clock ticks away at its same old pace. Acceleration is a much larger story, where the mutually reinforcing changes of media and technology and economics and politics and society and the workplace all converge. But the bottom line is that this promise of ever-compressible experiences tempts us to pack ten lives into one lifetime. In our age, we think that success is the hoarding of digital spectacles, work achievements, and personal experiences before we succumb to the darkness of mortality. Inside a society of acceleration, says Rosa, we put greater and greater hopes in technologies, like our smartphones, to give us more productivity, more experiences, and also more free time. No. Most of us feel like we have less marginal time. In response, we accelerate even faster, we compress moments even tighter, all in search of more margin. But the hunt is elusive. Instead of an abundance of free time, we’re met with a growing sense of burnout. This is because the smartphone takes more time than it saves. As life seems to speed up, we keep returning to our technologies in order to find productivity and more free time. And as we turn to those technologies, they cost us more time than we save, because those technologies introduce us to new products and ideas and experiences in the world that we didn’t know existed previously. In other words, let’s say you have a bucket list of ten things to see and experience before your life ends. Then you go out and get a smartphone with Instagram, and your bucket quickly grows from 10 things to 100 things (and likely before you’ve had a chance to cross off one thing on your list). For every single experience you’re offered 100 other equally alluring (or better) experiences. Inside the acceleration society, how do we approach this expanding bucket list? We continue to compress each experience into smaller and smaller available time slots. We try to speed everything up through new technologies. We get more apps. We listen to podcasts faster. We move everything faster. We keep spinning the self-reinforcing cycle of hastening. Rosa says that the whole system continues moving faster and faster until that acceleration is met by one of two things that help reset life — nervous breakdowns or economic recessions. Those resets return balance to life and society. But as these de-celerants are thwarted and postponed through economic and medical intervention, as we “advance,” natural breaks are bypassed and the whole system accelerates ever faster with unlimited gas and no brakes. Rosa says the whole thing eventually flies apart. I’m more hopeful of our future. But this social dynamic is something of what drives us onward in the quest for more media. We listen to sermons at 2x speed. We no longer read horizontally, we read vertically. We scan articles. We scan everything. Nothing grabs our sustained attention, because the promises of acceleration keep us jumping from hyperlink to hyperlink with the hyper-speed the name implies. We think that like everything else in our lives, we can attain hyper-sanctification. And within our acceleration society and the wealth of our digital tools, we get easily tempted towards a holy-looking fear of missing out (FOMO). But it’s still a FOMO, and FOMO always carries with it the stench of spent jet fuel of promise inside the acceleration society. In reality, God’s work in us smells more like rich manure, and moves at the pace of sowing and reaping. Sanctification is the slow and steady horticultural hope for a distant payoff, never measured in terms of the most immediate apparent wins, only recognized in its eventual harvest, the fruit of long patience (Gal. 6:6–10). When Should I Read Quickly or Slowly? In my book Lit! I talk about reading with a transmission. “Reading is like driving a moving truck through mountain highways. There are times to chug uphill in a low gear, and there are times to coast downhill in a high gear. Each book has its own terrain” (111). There are two forms of reading. I’m a very slow reader and now I think that’s quite good. If you read slowly your mind wanders around and you don’t really know what the result is. And then there are many technologies of speed-reading — very focused, very attentive. So you get the information but you block being touched by something. You don’t want to be touched. You want to be efficient and focused. And my claim is that if you have to be fast you develop a kind of instrumental stance towards the world, a muted relationship which makes you very efficient. It doesn’t mean that you’re not attentive, but the quality of attention changes because it becomes directed and intentional. And it becomes very difficult then to get into a mode of resonance because resonance is a state of relating to some person or something, like a book or it could be a piece of music, which affects you, you let yourself be affected, which also means you are vulnerable. And you never know when it happens and what the outcome of it is and how long it takes. So if attention needs to be very focused and very instrumental, the quality of attention changes from the resonant towards a mute form of relating. The world’s most famous New Years song is a hymn: “Amazing Grace,” penned by pastor John Newton and unveiled for the first time to his Olney congregation on January 1, 1773. The entire hymn is inspired by 1 Chronicles 17, a chapter that speaks of King David’s past, present, and future. Newton does the same, reflecting on past grace, present grace, and the hope of future grace — a progression you can watch unfold in the hymn itself. Newton’s original title was more accurate to this purpose (“Faith’s Review and Expectation”), but today it is more widely remembered by its catchy first two words. Setting the text of “Amazing Grace” alongside 1 Chronicles 17 will show just how deeply Newton’s hymn soaked up the rich biblical theology of this chapter of Scripture. We see direct lines of contact made by the terms house/home, word, and forever. Also notice the corresponding tenses of the hymn echoed in 1 Chronicles 17: past (verse 7: “I took you from the pasture”), present (verse 16: “Who am I, O Lord God, and what is my house, that you have brought me thus far?”), and future (verse 26: “O Lord, you are God, and you have promised this good thing to your servant”). Paradoxically, the final verse (“When we’ve been there ten thousand years…”) originated in the Afro-American worship tradition, not by the former slave trader. Of all places, the added verse made its first formal appearance within “Amazing Grace” in Uncle Tom’s Cabin (1852). Reflecting his personal practice on New Year’s, Newton’s hymn itself provides a doxological moment in time to stop to thank God for his past mercies, his present mercies, and his future mercies. From the beginning to the end of this autobiographical hymn, we are introduced to the unwavering grace of God throughout the Christian’s immortal, eternal existence. 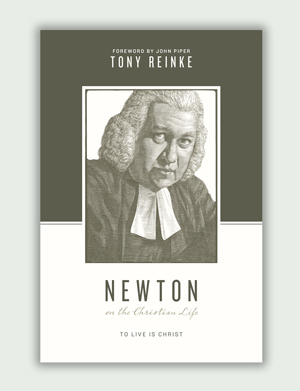 Newton communicates this vision of the Christian life in catchy language very easily read and sung. About 85% of the hymn is comprised of monosyllabic words. Newton was committed to clarity and simplicity, traits that spill over into all his pastoral work and explain his enduring place as a spiritual luminary so many centuries after his death. Of course, nothing from the pen of Newton endures like this hymn. Amazon.com currently sells the song in 12,700 different versions. It has been recorded in every genre, including jazz, country, folk, classical, R&B, hip-hop — even heavy metal! The popularity of the hymn is obvious at sporting events and political rallies, among other settings. It endures as one of few religious songs that can be sung impromptu in public because many people (if not most people) can recite at least the first verse by heart. The hymn is, first, brilliant biography (of David) and, second, brilliant autobiography (of Newton). Newton is the wretch, a term he often used to allude to his own sin and to a period of physical captivity he endured before his conversion. But most brilliantly of all, the hymn functions as a collective autobiography for every Christian. “Amazing Grace” is perceptive biblical theology, embraced by one man deeply moved by his own redemption, articulated for corporate worship. And it is the perfect hymn for New Year’s Day. For more on Newton’s life and pastoral legacy, see my book on John Newton here.